Rated No. 1 in Biblical History and Culture and in Devotional books! More than 2,000 people have already taken advantage of the free download of one of Amazon’s best-selling books, “Secrets from the Ancient Paths: Your Bible has Treasures Waiting…and they’re Hidden in Plain Sight!” But the free download ends today! Rated No. 1 in Biblical History and Culture and in Devotional books, “Secrets” has already sold more than 5,000 copies of its hardback edition, released in 2013 by Kregel Publishing. 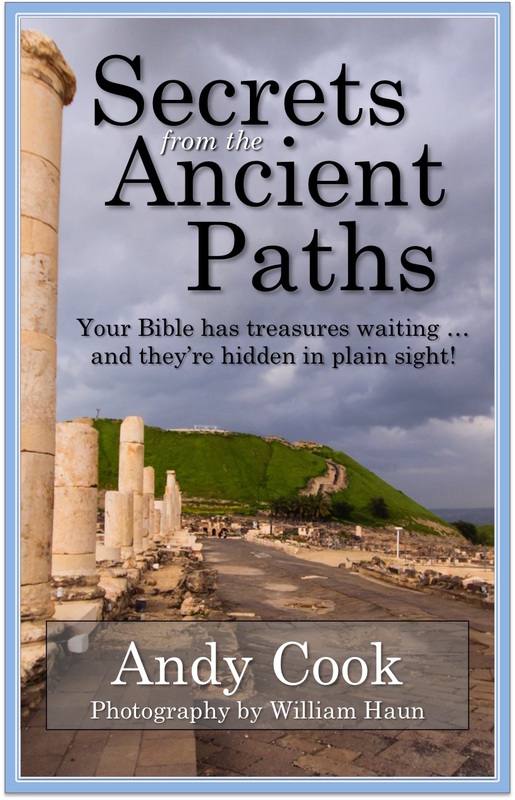 Just released in the Kindle version “Secrets from the Ancient Paths” is continuing to help thousands of people discover new insights about the Bible’s most familiar stories. “Secrets from the Ancient Paths” will be available for a free download only through Monday (11/30/15) at http://www.amazon.com/dp/B017O16G6O. “Secrets from the Ancient Paths” has been rated a stunning 5.0 by those who’ve already purchased the e-version. An early release helped it race to best-seller status in multiple categories. For more information: e-mail the author at pastorandycook@gmail.com or call 478-954-3885. About the author: Andy Cook has traveled extensively in Israel and recorded on-site teaching videos for the Christian Television Network. A pastor for 26 years, he is the founder of Experience Israel Now, a ministry that creates new tools and resources for pastors, Bible study leaders and Bible readers. Before the ministry years, Andy was a newspaper writer and editor. In 1984, he edited the first series of sports articles to win a Pulitzer Prize.